A theoretical model is presented that traces support for environmental protection to a social-psychological process involving the activation of moral norms against harming innocent people. In a preliminary test of the model's social-psychological hypotheses, judgments about the moral obligations of industry with respect to hazardous chemicals were found to depend both on awareness of harmful consequences to people and on ascription of responsibility for those consequences to industry; government, however, was held to be morally obligated to act even if it was not responsible for the harm. 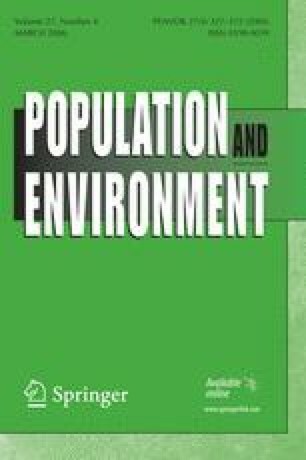 Suggestions are offered for using the model to study the determinants of changing public opinion on the environment, the tactics of advocacy groups in environmental policy conflicts, and the process that mobilizes pressure for political causes in the absence of tangible group interests. The authors thank Jane Phillips for assistance with data analysis and the Academic Computing Service and Graduate School of George Mason University for research support.